I love going to the farmer’s market for so many reasons but one of them is because of the handmade soaps. I wish I had more reason to purchase all the colorful and beautifully scented hand cut bars but I don’t. Not to mention they last way too long so I have a hard time being able to replace them. 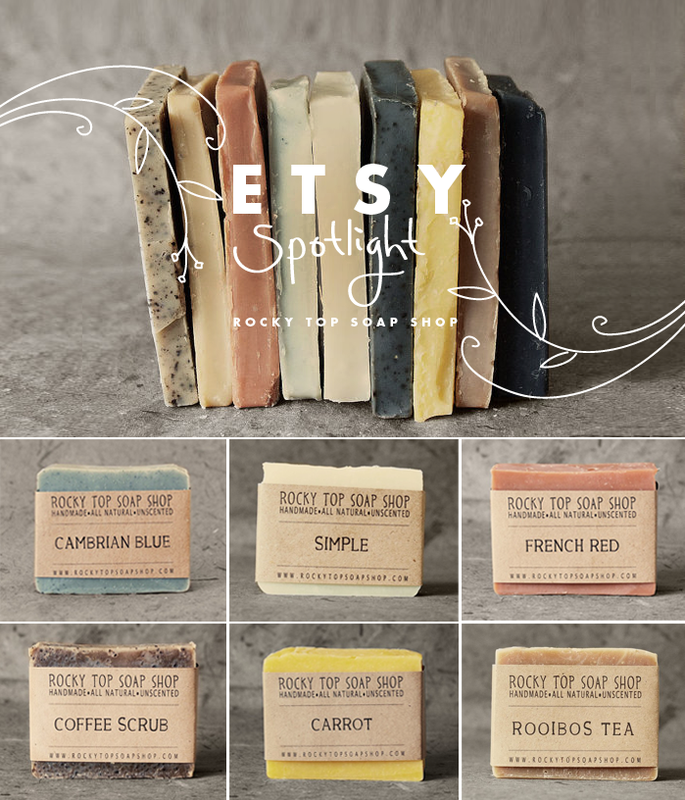 Well all that to say, when I came across the work of Rocky Top Soap Shop on Etsy I was instantly in love. Not only are these handmade with vegan and all natural ingredients but they are also beautiful. The colors the creator has used suite the overall aesthetic of the brand so well. I want to buy all the soap ends and stack them together just like the top image. How beautiful is that? So if you are looking for soap that not only looks cool but is made in the most thoughtful and precise manner, you have no need to look any further just read the shop’s info and you will know what I mean. Also make sure to follow the shop on twitter as well! Happy Tuesday my dear friends! I hope you have wonderful plans for the day!